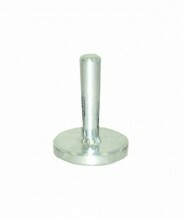 Meat tenderizers, meat mallets and meat/cutlet pounders available in a variety of sizes, materials, and styles, for any type of food establishment or type of meat! 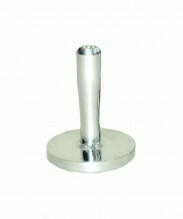 Available in aluminum, wood, cast alloy, plastic, and stainless steel, choose the proper product for your establishment! 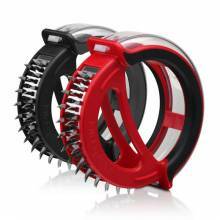 Zanduco carries hand held meat tenderizers, with both a flat side, which is used for cutlets, and a spiked side, which is used to tenderize tough meat like lamb chops and steaks. 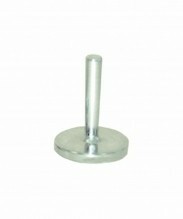 Cast iron and stainless steel manual meat tenderizers available with plastic base, which prevents the unit from scratching at your workstation or countertop. 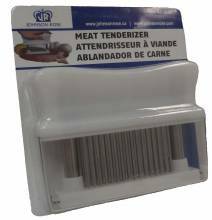 Ideal for butcher shops, grocery stores and commercial kitchens, tenderize and prepare meat quickly and easily with the help of one of these durable machines! Don’t waste your time marinating your poultry, fish or meat before you take the time to tenderize it! Make the most of your flavours, by ensuring they get absorbed by the product properly! 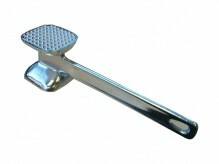 Mini meat tenderizers available for residential use and small tasks.